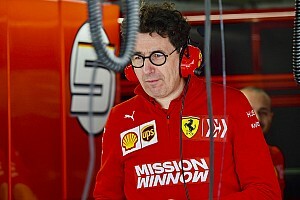 Six drivers completed more than 50 laps in the first four hours, as many as managed half a century over the entirety of Tuesday's running. 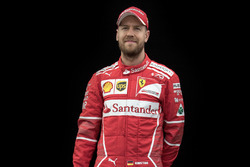 Vettel set the early pace having taken over Ferrari's testing duties from Mick Schumacher, who has switched to Alfa Romeo for his second day of F1 work. 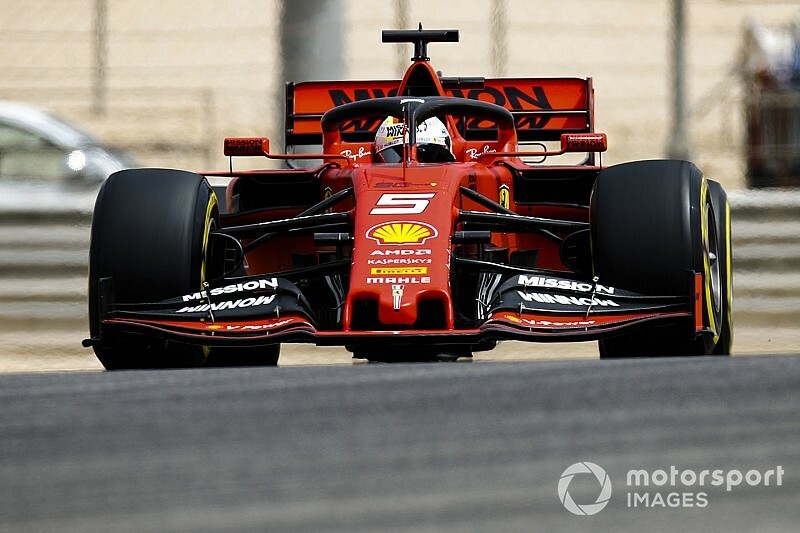 Four-time world champion Vettel, who suffered a miserable race in Bahrain on Sunday, set a 1m29.319s in the morning and that remained the benchmark at 1pm local time, four hours into the test. There is no lunch break in the schedule and teams will continue until the test ends at 6pm. Racing Point driver Lance Stroll was second fastest, 0.730s slower than Vettel, with George Russell completing the early top three. Williams race driver Russell has swapped his usual 2019 car for a Mercedes for day two of the test. 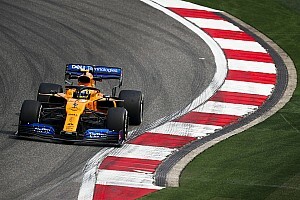 The Mercedes-affiliated F1 rookie is reprising his 2017/2018 testing role for the title-winning team on Wednesday and has so far completed more than 50 laps and set a best time of 1m30.373s. Last year's European Formula 3 title rivals Ticktum and Schumacher are in F1 action together for the first time. Red Bull protege Ticktum has taken over from Max Verstappen as the team bids to find the "magic password" to the RB15's set-up troubles so far. Ticktum, who is racing in Super Formula this year, had managed more than 60 laps and set the seventh-fastest time through the first half of the day. After swapping the Ferrari for an Alfa, Schumacher's morning was about as muted as his debut on Tuesday, with just over 30 laps to his name and ninth place in the times. 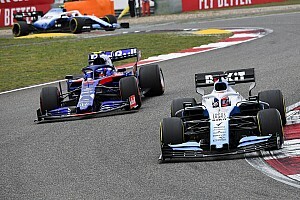 Other rookie drivers are in action on the second day, including Pietro Fittipaldi at Haas, Jack Aitken at Renault and Nicholas Latifi at Williams. Fittipaldi was fastest of the trio as the test day approached its halfway points, lapping fifth-quickest on a 1m31.209s. Aitken and Latifi remained at the foot of the times after busy mornings in which they completed 53 and 48 laps respectively.